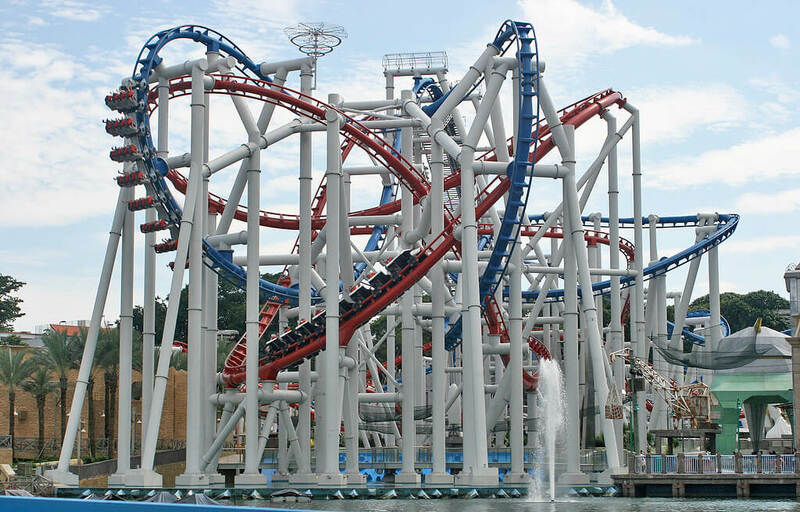 The Battlestar Galactica coaster is a pair of intertwining coasters at Universal Studios in Singapore. The two coasters have a different name, Cylon and Human. The ride is listed as the tallest dueling coaster in the world. From the station the trains are launched by Linear Synchronous Motors (LSM) to send the riders speeding at a high acceleration instead of the traditional chain lift. The ride features several near collisions between to the two tracks, just inches apart. The coaster is based on the sci-fi tv show Battlestar Galactica. 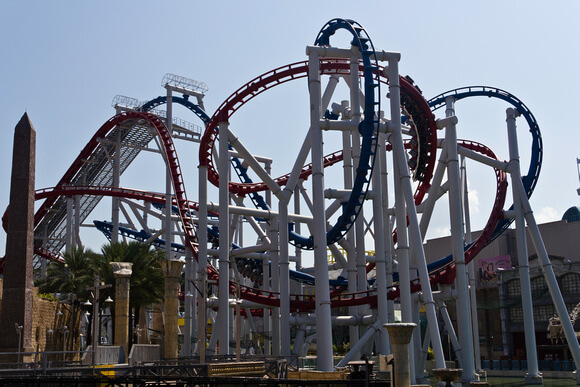 Cylon is a suspended roller coaster with a blue track containing several inversions – a zero-g roll, a cobra roll, corkscrews, and vertical loops. Human is a seated coaster with a red track, it contains no inversions but does give the riders more g-forces than Cylon does.